After celebrating Labor Day this weekend, I have begun to reflect on the efforts of all the people in our industry that work so hard to make our buildings safe and to protect us in the event of a fire. How lucky I consider myself to live in a country where I can walk into a building and feel confident in the safety of the structure or dial 911 and receive immediate help if the need arises. Today, the celebration of Labor Day mostly means then end of summer and a treasured 3-day weekend. It’s when we get in our last lake trip of the season, make sure the kids have new clothes for the school year, and have a leisurely barbeque with friends. However, the origins of Labor Day tell a much different tale and aim to celebrate the social and economic achievements of the American worker. Its roots date back to 1882, when the Labor Movement was a hot political topic, and it’s meant to memorialize the contributions workers have made to the strength and prosperity of our great country. As an American company who proudly manufactures all of our products in the USA, Space Age Electronics embodies the principles of Labor Day and embraces those people we celebrate. 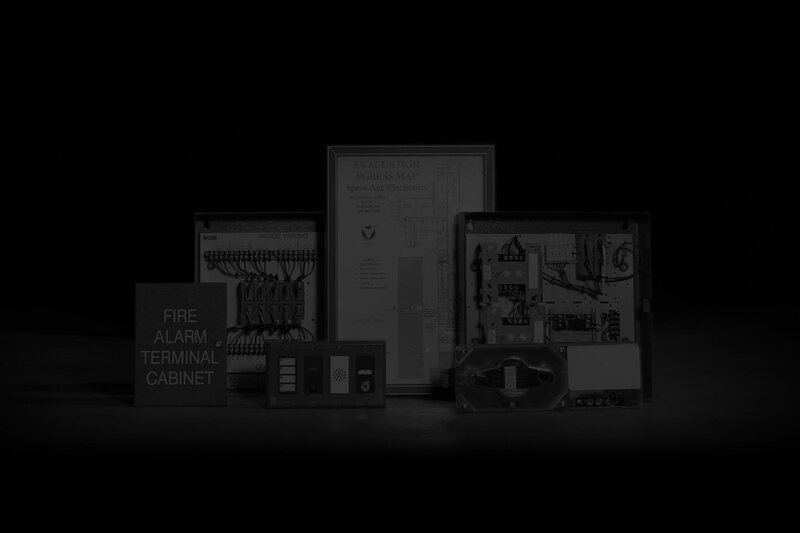 We make products such as our graphic annunciators and smoke control systems to assist these first responders in the event of an emergency and surge suppression that protects the fire alarm panel that has been carefully manufactured and installed by skilled teams. Every Labor Day, as we spend time with our friends and families, grill our hotdogs, and have a few cold ones… I hope we take the time to remember the reason for the holiday. To celebrate the all American worker: the factory employees who make and assemble the products we use in fire detection and suppression, those diligently working to correctly install equipment necessary to life safety in our homes and buildings, and especially the fire fighters who answer the call to risk their lives when the time comes.